Created in Europe, ceramic non-stick has been available for over thirty years and now, through research and development Essteele brings you the latest innovation in ceramic - resulting in the most superior class of ceramic non-stick in the market. 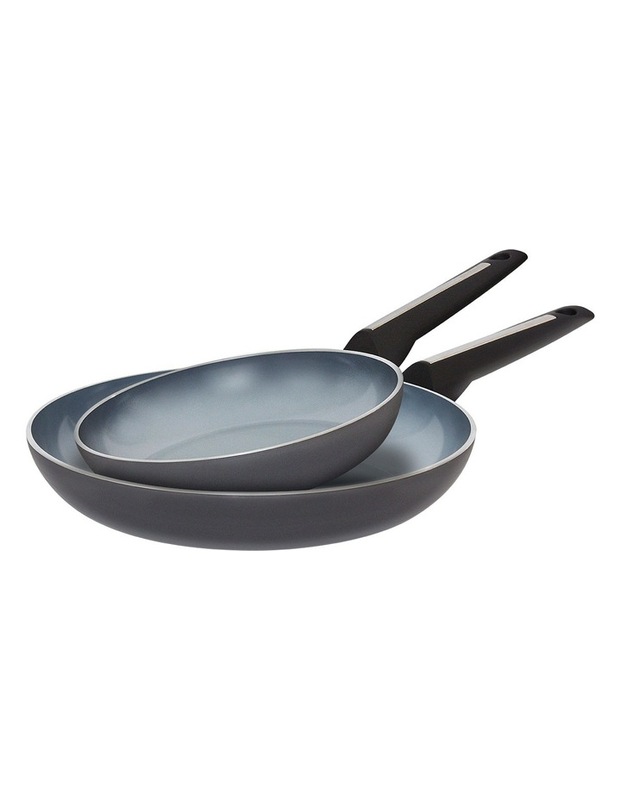 The Essteele Per Moda 20 & 26cm Open French Skillets features our unique BarrierSHIELD TECHNOLOGY a proprietary heat-sealed barrier encasing the solid aluminium core that ensures maximum durability and a tried and tested tough surface for long lasting performance. This process also moves the forming oil particles to the top of each ceramic layer, resulting in superior food release from the inert surface. The thickness of the natural ceramic is unlike any other in the market with a glass hardened surface able to withstand high heat cooking with unprecedented food release and high abrasion resistance. Beautiful inside and out Essteele Per Moda brings a European style which is affordable to every kitchen.